Thank you for your interest in Safeway Steel Buildings Mini Storage Buildings. 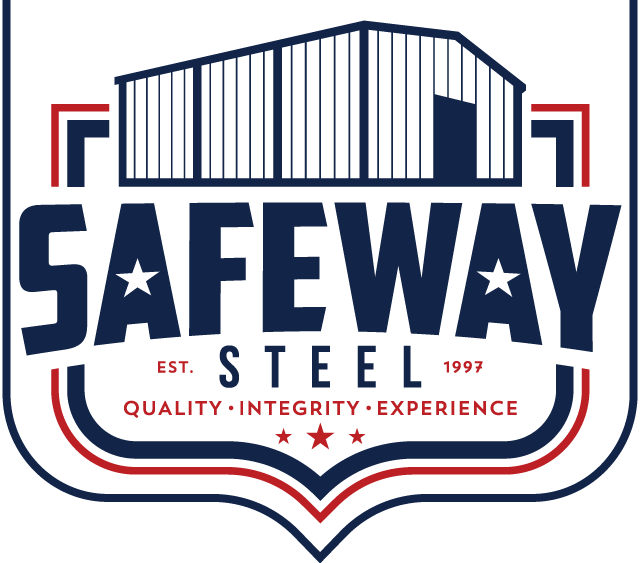 Safeway Steel now has a Dedicated website regarding our Mini Storage Buildings. You can visit the dedicated site here called: StorageBuildingCentral.com for full details on our mini storage options available. Visit the page below for the full Storage Building Options Available. A Huge Array Of Door Options For Your Storage Building Needs. At Safeway Steel Buildings we believe the doors are just as important as the structure itself. That is why we offer a huge assortment of doors available for your needs. 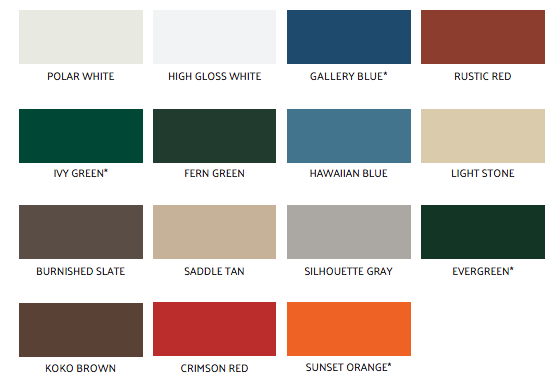 Below is a list of available doors and colors offered by Safeway Steel Buildings. All Colors have a 40-year film integrity limited warranty. Polar White and High Gloss White do not have a chalk and fade warranty. *Indicates colors have an additional upcharge. Non-Standard Colors may require extended lead time. Color Matching is also available for sizable orders. Many companies will try to sell colors as just some customization option, but at Storage Building Central we look at the whole picture to help your business succeed. Colors are the difference between bringing in new customers, maintaining current customers or falling flat on your face. When choosing colors don’t simply look at how nice the building will look, but also how it will drive customers to your facility and will the color scheme work with your branding. Bright Bold Colors will bring in customers from afar, where darker colors will provide a polished professional look. Some companies have even color coded buildings to make directions easier to explain. It is much easier to tell clients to proceed to the the “blue lot”, then navigating a maze of storage units in 20 different directions.